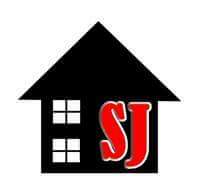 SJ Decorators Ltd - Painter/Decorator based in Blaenavon, Gwent. Delivering a hassle free Quality and Professional service is our aim. However this doesn't come "overpriced". We specialize in all aspects of painting & decorating (spraying, emulsioning, wallpapering etc.) we also offer other general maintenance work such as plastering and regrouting. We have a website where you can view all our previous work.